3,2,1 Dropping! A non-stop downhill power session with the Atherton clan, Rachel, Gee, and Dan. The outer limits of trail riding are made a reality in their own neck of the woods with #HERO7. Dan’s dirt moving skills, imagination, and passion are progressing how the best trails in the world should be built and ridden. Gnarly enough to push world-class downhill riders to their limits but local enough to be back in the pub for last orders. The Clutch Cage proves that side entry bottle cages don't need to be hard to use. This high-end cage is designed to accommodate small and full suspension frames where standard cages do not fit. Slotted bolt holes allow for fine tuned adjustments, so it's easy to pull your bottle out no matter the shape or size of you favorite steed. The Clutch Cage is available in right or left entry and comes in four color ways. It's all very well hauling a giant pump around, but all that leverage can snap a delicate valve stem right off. This slim pump features a thread-on Presta specific head with a short pull out hose to give more options on where you pump from and fewer chances of ripping the valve clean off. Plus, it's got a Presta valve core tool. 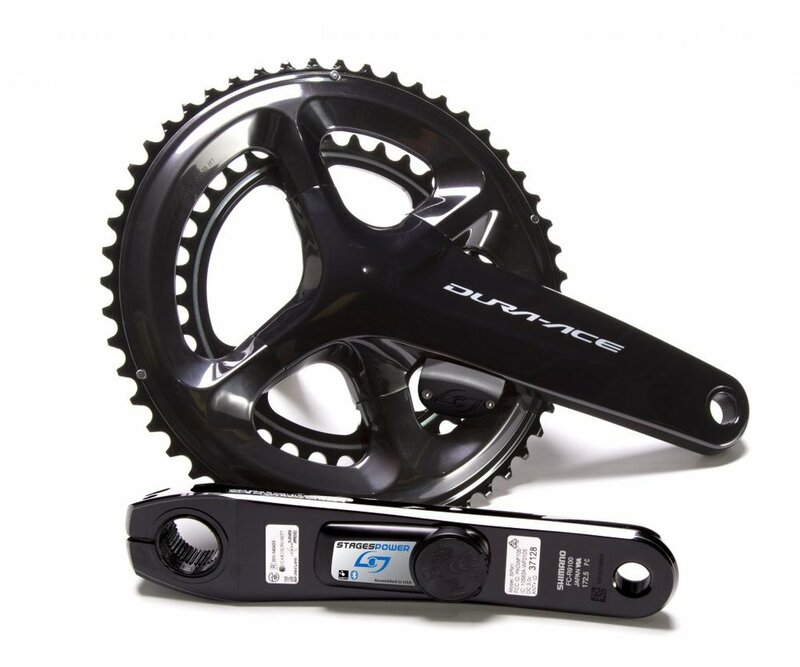 Give that special person a gift guaranteed to help them ride better in 2019—a state-of-the-art Stages power meter. Plus access to Stages LINK Premium training software! 25,000 submissions. $1,000,000 on the line. In September, we tasked YOU to film our #GoProHERO7 Black Highlight Video. Since then, you've shown us the world through your lenses - harnessing the power of freedom with adventure, creativity, bravery, laughter, and awe. You've encapsulated what it means to be a part of the GoPro Family. We all know GoPro to be the company producing the world’s most versatile action cameras. Every year and every model seems to keep proving this true. Their latest product line Hero7 Black sets a new bar for video stabilization with its standout feature, HyperSmooth. HyperSmooth is the best in-camera video stabilization ever featured in a camera. It makes it easy to capture professional-looking, gimbal-like stabilized video without the expense or hassle of a motorized gimbal. And HyperSmooth works underwater and in high-shock and wind situations where gimbals fail. HERO7 Black with HyperSmooth video stabilization – you’ve got to see it to believe it. Built for action we are stoked for the adventures to be captured on the HERO7. Share your GoPro adventures with us on Facebook. The future of head protection is now made to suit your style with Giro Custom and the Tuesday 25. What is the Tuesday 25? Using an online design configurator, each week 25 of you will get to design and order your own unique colorways of the new Giro Aether MIPS. Nearly every aspect of the helmet can be customized — including the straps, fit system and buckles — from a palette of 15 color options including fades and graphic patterns, plus two reflective options. What we all really desire is something unique, and with more than 805 million possible combinations, it is now possible to have a Giro helmet like no other. Don’t keep your dream design all to yourself. Save it, share it on social media with the hashtag #GiroCustom, and get feedback from fellow riders. But remember, nobody does you better than you. Welcome to Giro Custom. Learn More or share your custom helmet on our Instagram. Inspired by the 71% of the planet covered by water, Blackburn Design has created WATER CYCLE, an ongoing documentary film project. In the second chapter, OCEAN, we follow Ashley Llyod Thompson, a surf shaper from Santa Cruz, California. Ashley took time away from her shaping studio to travel with her husband and son to Mexico in search of quiet surf breaks. Many of the best breaks are tough to access and aren’t on any map. Fat bikes made the most sense to enjoy these secret places. Along the way, she found some beautiful quiet moments with the ocean and with her family. These are the simple joys that life on a bike can bring. Ashley has been an avid surfer since she was a child, eventually turning her passion into a career shaping surfboards and teaching new riders. As she became closer to her craft and the ocean around her, she adopted an emphasis on sustainable building practices that respected both her ability to ride huge waves, and desire to do as little harm as possible to the planet. Our fragile oceans sustain life on our planet, but increasingly, they are polluted with plastic waste. This waste can range from single use plastic products like cup lids, and take out bags, to microscopic particulates that kill fish and foul beaches. Protecting our oceans is important to Blackburn and so for this project we’ve partnered with Sustainable Surf to bring attention to the continued need to be stewards of our oceans. If this is something that resonates with you, consider becoming involved with one of Sustainable Surfs initiatives. sustainablesurf.org/ Featured at: blackburndesign.com/ocean CREATIVE Ocean was directed by Nicole Mackinlay Hahn. Mackinlay Hahn grew up in New York, where she worked at for the family business on Fire Island National Seashore. Curious, adventurous, and with a drive for honesty, she began making films in 8th grade using her brother’s pixelvision camera. Since then, she has collaborated on projects throughout the US, Africa, and the UK. Brian Vernor, a noted filmmaker and photographer, is provided art direction for the film. Brian has long been a Blackburn collaborator and will be making certain that each story in the project has a distinct point of view, while still holding close to the overall theme and vision. Ocean was produced by Robin Sansom, a long time Blackburn collaborator and a principal of Offsite Studios, a brand and content agency. Chris McNally returned for the second chapter of Water Cycle by providing the amazing illustrations. Follow and like us at: instagram.com/blackburndesign facebook.com/BlackburnDesign twitter.com/BlackburnDesign vimeo.com/blackburndesign ABOUT BLACKBURN In 1975, Jim Blackburn looked at the at the emerging cycling culture and knew he could make a difference. That meant thinking from the end-user perspective, showing respect for materials and their functionality, while offering purpose-built design and innovation. Over the years, Blackburn has adopted and honed those principles to build quality gear that allows people to go further, do more and be better prepared for everyday and extraordinary adventures alike. We developed our Outpost Elite Universal Seat Pack (USP) to work with dropper or standard seatposts, be able to carry a bevy of cargo, and stable enough to not swing around while it does. The USP is a two part system: Part 1 is a T6061 Alloy Wing that affixes to your saddle and works with a standard or dropper post. Part 2 is a removable and waterproof dry bag. The bag has a scuba style air bleed valve to assist with compression while off the bike. The wing stays on the bike, the bag comes off and allows you to pack, compress and go ride in the snap of a few buckles. BrittLee Bowman is a native New Yorker who works in design, wears red glasses and loves to race her wheels through the mud. Her love affair with cycling started as a need for transportation, but utility riding quickly became a gateway to a lifestyle. Since, BrittLee has run teams and become a mainstay on both the domestic road and cyclo-cross scenes. Her persona and racing style—elegant passion—aligns perfectly with Richard Sacs’ cyclocross team and bikes. While the team passionately believes steel is real and that craftsmanship and class trump trend and mass made products, their training is unequivocally up to date. BrittLee Bowman’s pre-race openers should be done the day before race day. These intervals are meant to get your body ready for the pending pain without dipping into your reserves or hampering your ability to go all out in the next workout. This should be a fun ride and if you’ve got the luxury, you should try and do them on the course you’ll be racing on the next day. Want in on the action? Experience the run in 360° VR here: https://youtu.be/cGk16VXvFhY Check out the newest wingsuit flight, with Marshall Miller, Jesse Hall, and Savage Sac down this this insane line, flying feet from snowy cliffs and tree lines. Captured with the 360º camera. Get a glimpse into the dogged world of bicycle frame building with iconic Santa Cruz frame builder Paul Sadoff of Rock Lobster Cycles. Bell digs into the motivations driving this stalwart of the cycling community and follows along as Rock Lobster elite cyclocross rider Andrew Juiliano embarks on his first full season of European ‘cross racing. Faced with adversity and challenges along the way, Sadoff and Juiliano embody the tenacity and uncompromising spirit that Bell was founded upon. Rachel Atherton gives a downhill masterclass out in Lenzerheide, Switzerland by winning her 5th UCI World Championship title. We first caught sight of Stages’ new power meters at Eurobike and now the company has brought its new dual sided and right side only models to market as well as updating its original left hand side model. We’ll begin with the new Stages LR power meter, which is the company’s first dual sided meter. The company claims, when partnered with Stages’ ecosystem, it provides cyclists with the most advanced data. As well as both left and right measurements, the meter provides pedal smoothness data and Torque efficiency metrics. Stages claims that it’s accurate within +/-1.5% and has a waterproof rating of IPX7. Its battery life is a supposedly 175+ hours and the battery is a replaceable 2032 coin cell battery. 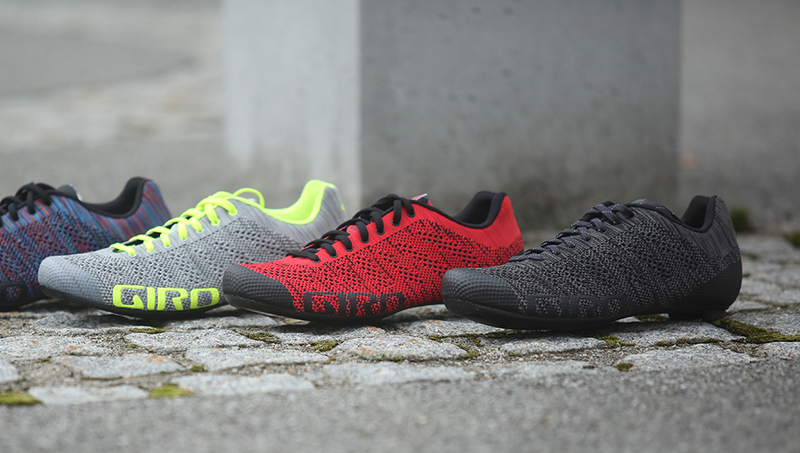 You’ve seen knit technology in athletic footwear, but you haven’t seen it in cycling… until now. Introducing our new engineered Xnetic™ Knit (pronounced ex-net-ic) for unparalleled comfort and breathability. Xnetic™ Knit technology was developed for the specific needs of performance cycling. A TPU skeletal system provides support where you need it, while the knit offers suppleness for superior sock-like comfort. The porous knit material makes the entire upper breathable, giving you a shoe that has superior ventilation and drying time. Don’t confuse this knit footwear with a fragile sweater, because these shoes stand up to the elements. The Xnetic™ Knit is DWR-treated for water repellency and easy cleaning after grimy rides. Rubber or TPU toe and heel guards provide abrasion resistance and superior durability. Simply speaking, they are built to tackle the road, trails and any environment where your adventure takes you. Plus, the style of knit is simply undeniable. Yakima has released their 2017 fall line of vehicle accessories to accommodate a broad range of trending outdoor activities. Covering a variety of price points, from entry to premium, the new products provide gear hauling solutions for trending activities, including kayak fishing, off-roading and stand-up paddle boarding, plus seasonal snow sports products. At the center of the fall product launch are the OffGrid Cargo Basket, the LongArm Truck Bed Extender, the FatCat Evo, an update to the snow sports mount, and the FatCat ShowDown – the first side-loader for kayaks and SUP’s.